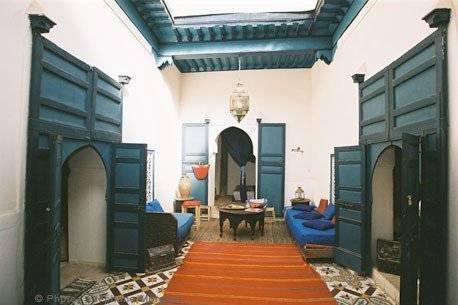 Located in a small XVII century house at the heart of the medina of Marrakesh, B&B Dar Nakhla offers tranquillity and luxury services in the palace district. Staying here you can easily get lost amount the picturesque labyrinth of lively streets of the medina. The central Djemaa El Fna square, located about 500 metres, is easily reached on foot. Places such as the Bahia Palace, the Badi Palace and the Museum Dar Si Said are within 5 minutes' walk. The B&B Dar Nakhla has a total of seven rooms, including single, double and triple rooms with private bathroom, heating, safe and wireless internet. Some of the rooms are air conditioned and others are equipped with fans. Breakfast is included in the price. 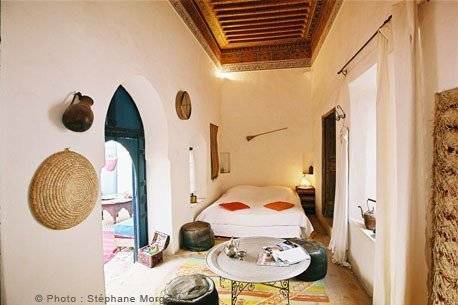 The bed and breakfast offers tour services of Marrakesh and its surroundings, such as trips to a farm for a taste of the Berber tajine. Other services offered by this accommodation include luggage storage, safety deposit box, wireless Internet in public areas, restaurant and cafe/bar, 24 hour reception and laundry service. Smoking and pets are allowed at this establishment. 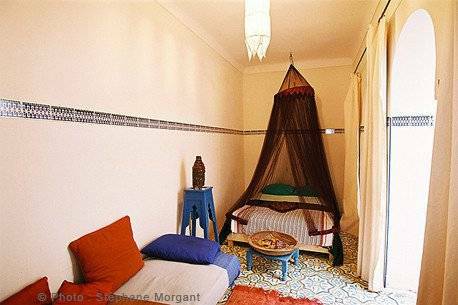 A bed and breakfast with multiple services in the medina of Marrakesh! Double bed/s, Private bathroom, Internet Wi-fi, Fan/s, Heating, Safety deposit box, Hair dryer, Cots available on request. Double & single bed/s combination, Private bathroom, Internet Wi-fi, Fan/s, Heating, Safety deposit box, Hair dryer, Cots available on request. Double & single bed/s combination, Private bathroom, Terrace, Internet Wi-fi, Air-conditioning, Heating, Safety deposit box, Hair dryer, Cots available on request. Double & single bed/s combination, Private bathroom, Terrace, Balcony, Internet Wi-fi, Air-conditioning, Heating, Safety deposit box, Hair dryer, Cots available on request. 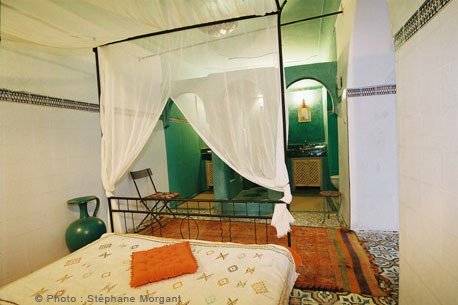 B&B in the Medina of Marrakesh,. 500 metres from Djemaa El Fna square. 5 minutes by car to Bahia Palace, the Badi Palace and the Museum Dar Si Said.